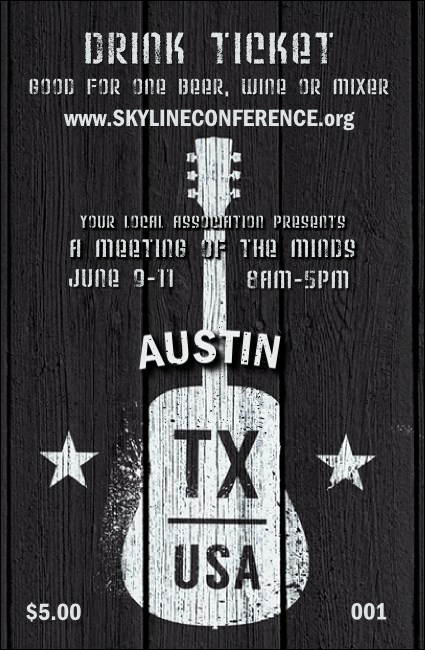 Give your guests the chance to drink in all that is the Live Music Capital of the World when you print Austin Music Drink Tickets and sell them at your next event. Welcome your guest list to the capital of Texas with tickets that feature a classic black and white color scheme with a white guitar in the center. Find the right ticket for your taste in music at TicketPrinting.com.